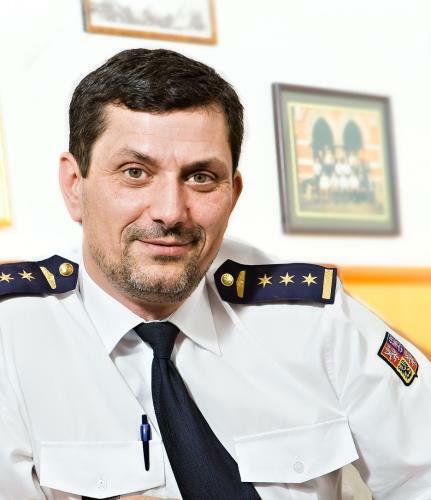 allow me to ask you for your support at the Delegates Assembly in Zagreb on 3 September 2015 for the candidacy of Col Zdenek NYTRA for the CTIF Vice-president. Zdenek NYTRA will be in the next year for 40 years a voluntary firefighter and works the whole professional life in professional fire protection. He was a Director of Ostrava-town firefighters for 7 years and is already 15 years a Director of Moravian-Silesian Region Fire Service. Beside the organisation of European Championship in Fire Sport in 2005 and in 2007 (under patronage of International Federation of Firefighters and Rescuers), Zdenek NYTRA was a head organiser of very successful CTIF Championships in Ostrava in 2009. Zdenek NYRTRA does not have only abilities in organising of sport competitions, but also long-term practical experience with management of fire protection and with cooperation of voluntary and professional firefighters. Thanks to his active membership in International Sport Federation of Firefighters and Rescuers and in Czech Association of Fire Officers his election for CTIF Vice-president would add to more efficient and active cooperation among all mentioned organisations what would have for sure positive impact on functioning of CTIF. I am sure that Col Zdenek NYTRA will contribute to functioning of CTIF. In the Executive Committee of the CTIF I would like to focus on Competitions and Extrication & New technology, achieve a more effective work participation of associate members and attain better cooperation and coordination among Federation of the European Union Fire Officer Associations and International Sport Federation of Firefighters and Rescuers. Technical University of Ostrava, Faculty of Mining and Geology, Field of Fire protection and Work Safety, state examination – Eng.